Every once in a while someone arrives on the music scene who seems to break the barriers of time and space. With epic melodies that are so out of orbit that they may as well have come from Mars. A star that seems to make whatever they're wearing seem right, even if it mostly consists of a fiery colored leotard and epic mullet, and some amazing makeup. When you're from Mars, you do and wear what you want. 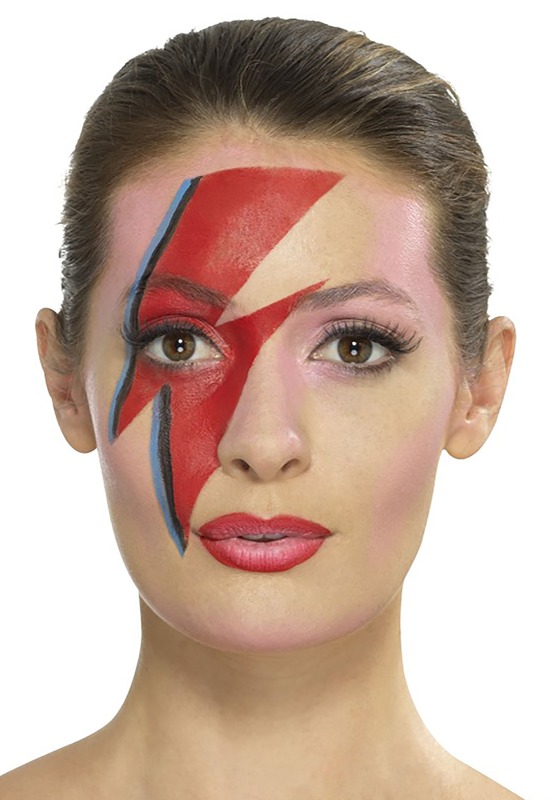 You might be preparing for the Battle of the Bands or perhaps you're planning an epic Halloween ensemble, this makeup kit has everything to make you look like a disaffected space explorer turned musical icon. Sure, you could stick to the awesome ballads of previous space stars but who says you can't make your own far-out hits. As far as you know the cosmos is patiently waiting for your inter-galactic beats.